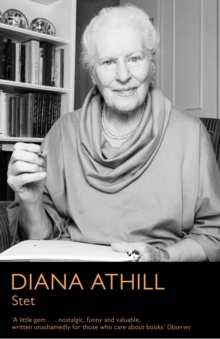 For nearly 50 years, Diana Athill edited (and nursed and coerced and coaxed) some of the most celebrated writers in the English language. In a prose style of inimitable wit and rare candour, she recounts tales from a long life in publishing, including her reflections on editing writers such as V.
S. Naipaul, Jean Rhys, Gitta Sereny and Brian Moore. She also provides an account of her own writing career, which includes the two critically acclaimed works, Instead of a Letter and After a Funeral.